How to Lose your Virginity on Solo Traveling | Where Have You Been Lately? AKA six basic things girls should know when travelling alone. 1. Always bring any form of identification. If I were to rate the importance of bringing IDs during trips with 10 being the highest, I’d give this a 10. Why? If mishaps happen, concerned strangers will always look first for some sort of identification so they can contact your family, friends, or anyone related to you. It is also advisable that your ID has contact details of person who can be spoke with should you encounter a series of unfortunate events. The SSS-slash-UMID which I waited for almost two years. 2. Pack light. You’re travelling and not attending a fashion event. Indeed, experience is the best teacher. My first and failed attempt of solo travel made me realize that I ain’t joining Philippines’ Next Top Model to bring a handful of clothes. One must always consider the kind of activities and weather/temperature during the trip (beachineering, outdoorsy, rainy season, etc.). And remember that too attractive dress can get you into trouble; your party outfits can wait. Imagine wearing a pair of heels while doing this. Nightmare. Don’t bring too much gadgets. They’re not only heavy and will cost you more if you exceed your airline’s allowed baggage weight, they can also cause you to be the apple of the eyes of crime offenders. Most people go on a vacation to relax and be stress-free. Unless your boss is the type who always wants a report on an hourly basis, maybe you can disconnect yourself from the social world for a little some time by bringing just a phone and a camera to capture your trip’s cherished moments. Bring only a phone and a camera. 3. Let your loved ones know your plans and where you’re headed. I am not contradicting myself with my statements. Yes, I said that you must cut off your connection from the world by bringing only a phone and a camera, but you should still let your parents or friends know where your next trip will be. Play Aron Ralston and see if you can bear having an amputated hands by not telling anyone you’re on a date with Canyonlands National Park if you know what I mean. Send constant messages to concerned people like your parents just by simply telling them that you arrived on your destination safe, that you are about to start your activities, that the weather is fine, and little things like that. You have a family who can worry the hell out of them once you’re away so sending brief messages won’t hurt. 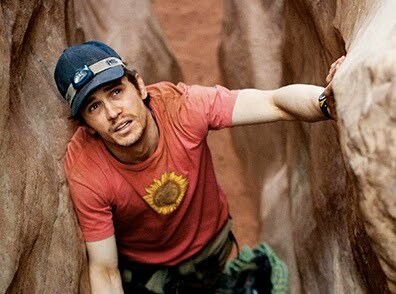 James Franco got the chance to play Aron Ralston but didn’t really get his hand dismembered. Another thing you can take note of is, don’t TWEET too much nor update your Facebook status with your whereabouts! You might be giving away too much information that a stalker or an outlaw can use against you. Let Paris Hilton alone do all of these. You’re not Paris Hilton so don’t share too much information. 4. Credit is good but we need cash. That’s a signage I always see from Filipino stores and this can pretty much apply during trips. Not all destinations have ATM or credit card machines specially those that are located in an extremely remote area so always prepare cash. But do not empty your bank accounts and bring just a little over your budget. It’s good to do accounting as well while on your trip so you at least have an idea on how much you already were spending and how much you have left. Carry cash but not too much. 5. Spontaneity is fun plus risk. Letter B comes after Letter A and so does Plan B after Plan A. Bad weather, delayed flights, sickness, over-budget, and accidents are some of the trip spoilers. When such things happen, your organized and almost-perfect trip can turn into a disaster. And so to avoid wrecking havoc, always include backup plans on your itineraries. Sure, being spontaneous is fun but not at all times as unseen and unwanted events may transpire. Oh yes, be mindful of what you’re eating not to avoid gaining weight but to avoid landing on a hospital. There are some delicacies that are so irresistible that we forget to ask how they’re being prepared, cooked, eaten. And so to prevent acquiring Amebiasis and other food-related disease, ask before stuffing your body with mouth-watering cuisines. This tip should be taken into consideration because of the following: (a) you are away from home and being hospitalized can be a lot more expensive and (b) no friends nor relatives can immediately attend to your needs and make decisions when you are unable to. I got rushed to the hospital after my I-nearly-cannot-walk-due-to-stomach-pain moment. Travelling is becoming a popular activity for the adventure seekers including women. And as we all know, we women, seen by the society as less beings, tend to be confined to homemaking, sewing, baby-sitting, etc. Now that travelling is more accessible to all, we should start packing our bags, buying travel tickets, and experiencing nature’s best—something that shouldn’t be done by men alone. I am not a feminist or a man-hater but this post is intended for all women who want to try traveling but don’t know how to kick-off one hell of a trip. Holler at y’all, Dawg! If you think you’ve done everything that was mentioned above, congratulations! You just lost your virginity to solo travelling! *Thanks James for giving me a reason to take a short break from my oh-so-busy-online-job and update my blog. 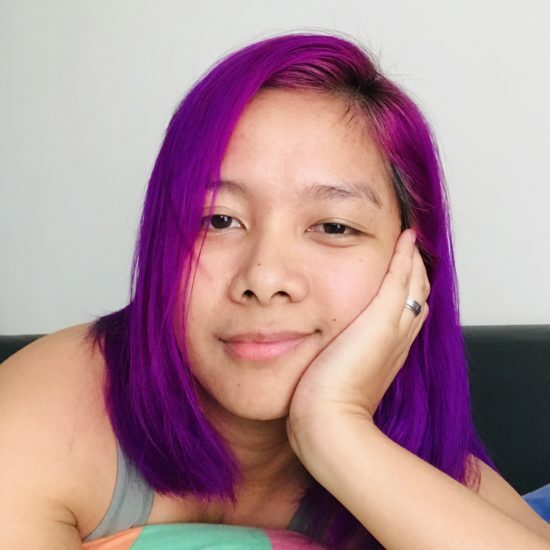 Awesome blog post MissBackpacker! Continue very good work and forever keep composing content exactly like it. just come across your blog. i find it very interesting with lots of good tips.